I love to have cilantro greens without cooking it. One of the best ways to have it is as a raw chutney. Cilantro is abundant in vitamins: A, C, K, minerals: iron, magnesium and calcium. It has antibiotic, anti-cancer, anti-inflammatory, heavy metal detox properties. Regular consumption in raw form is very good for health. 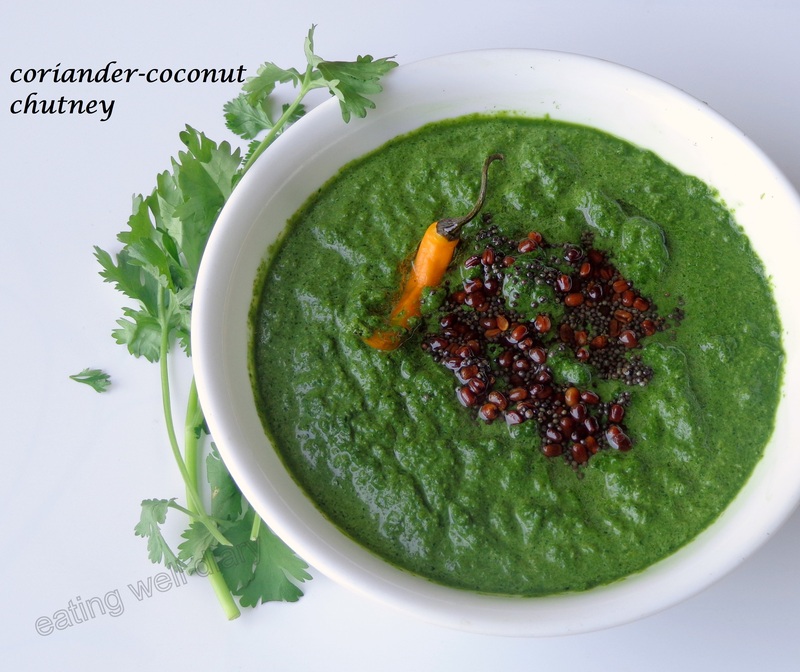 A simple raw, saatvik (no onion, no garlic) chutney can be prepared in combination with coconut, green chilly. 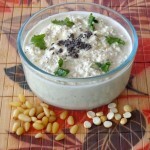 Is great with idli, dosa, upma or any other savory snack. 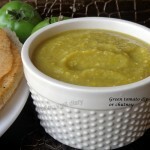 I am submitting ths recipe to the Virtual Vegan Linky Potluck 4 over at the blog Unrefined Vegan. whole urad/ black gram- 1 tsp. 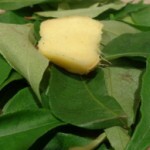 * Separate leaves from stalks, wash and grind leaves with coconut, green chillies, salt. Add additional coconut if needed for a thicker consistency. * Heat oil, add mustard seeds, urad gram and wait till the seeds splutter. Add to the chutney. I love the ingredients in this – – but it’s the color that really hooked me! It is stunning, isnt it? Thank you, Anne. Yum Yum yummmm,..”such a green Yummy colour! 🙂 I love it too! This would make a nice spread on a sandwich too I bet or perhaps over fish?